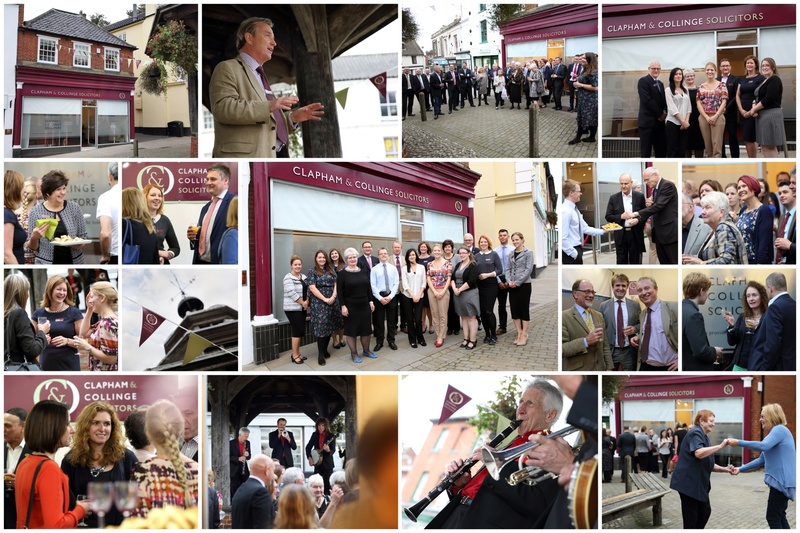 After an exciting year which has seen the 60th anniversary and re-brand of Clapham & Collinge as an independent firm of Solicitors, we are delighted to have officially launched our new office in North Walsham. The office was officially opened on Tuesday 27th September with a welcome speech from Senior Partner Hugh Berridge. Guests were entertained with music from the DixieMix Jazz trio, while enjoying celebratory drinks and canapés. The informal open office invitation provided a fantastic opportunity for people to walk around the new office and meet the North Walsham team of Solicitors. Neale Grearson, Partner at Clapham & Collinge explained: "The opening of the North Walsham office was in response to customer demand and seemed a natural extension of our presence in that part of Norfolk. It follows on from the success of our Sheringham office and our move into a new office space last year. In North Walsham, however, we have a slightly different feel to our other offices which have a walk-in reception. This is more of a shop window approach with a more informal feel than other typical solicitors' office premises. Over the last 12 months, we have been building a presence in North Walsham through a series of networking events and we have already made a number of strong business contacts in the area." Guest and local councillor Eric Seward said "As residents and local Councillors in North Walsham we are very pleased that Clapham & Collinge has come to the town and occupied a long standing empty retail premises. In a growing town your presence will provide services of help to local businesses and residents." Clapham & Collinge provide a full range of legal services for business and individuals in Norfolk, recently ranked in the Legal 500, the guide to the legal profession as 'one of the most sought-after firms locally for its expertise.' The new offices builds on an existing presence in Norwich, Sheringham and Brooke. Our North Walsham office is open six days a week, including from 9am to midday on a Saturday. To find out more about the legal services we provide, or to book an appointment please call 01692 660230 or email us using the 'Make an enquiry' form. You can unsubscribe at any time. We will never pass or sell your information to anyone else and your information will only be used for this correspondence. North Walsham, Norfolk, NR28 9BT.